1. 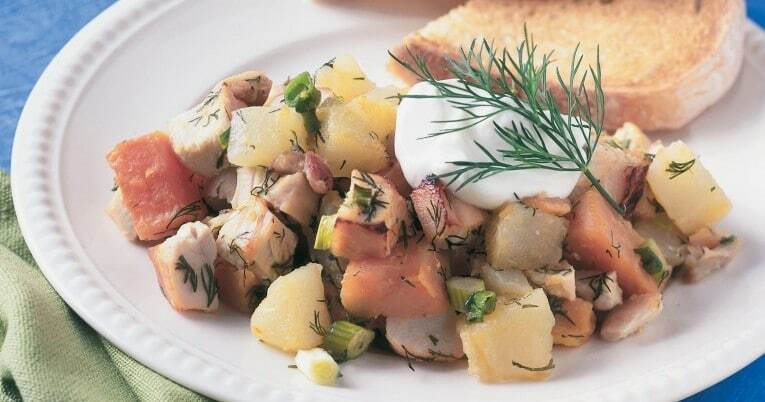 Mix chicken and remaining ingredients except sour cream and dill sprigs; evenly divide between 2 pans. 2. Bake at 350ºF until top is lightly browned, about 1-1/2 hours. 1. Using a #6 scoop, put 6 ounces of hash on a serving plate. 2. Garnish with a dollop of sour cream and a sprig of dill or parsley.